ACE loop winders feature heavy duty construction. They are designed to integrate easily with our coil winding machines and constant tension devices. This ensures that the client does not have to bear any extra cost of purchasing new equipment. This outstanding model makes winding easier and more efficient. It uses a 30″ long winding bar to wind a 36″ loop. This is possible since the machine makes use of the 9″ long slide blocks. 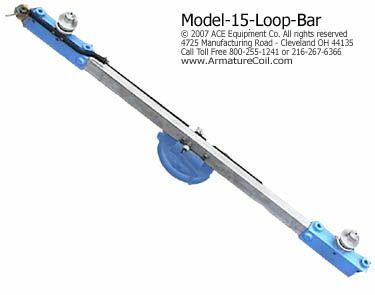 A 50″ long winding bar is used in conjunction with the 9″ long slide blocks to wind 56″ long loops to be wound with ease and finesse. Easily integrate your loop winding bar with your coil winding equipment. 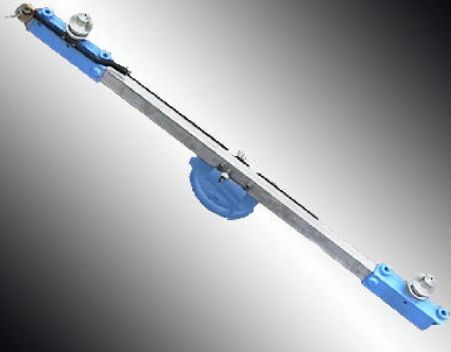 The loop length can be effortlessly adjusted using the direct reading scale located on the winding bar. The loop can be removed quickly and efficiently by drawing in one slide block using a single lever cam motion. The block is returned to the original winding position for the next coil to be wound. This is possible with the help of the spring action. This process prevents the machine from winding a short loop. This is one of the most effective and speedy systems that can help remove short loops and reset the machine for the next loop winding. The winding bar is manufactured using heavy duty steel. This steel bar measures 1″ W× 2″ H.
With the use of the cutting edge holder, leads can be started on either side depending on the end requirement. 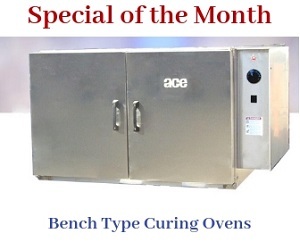 The base is crafted with cast iron for ease of mounting on any ACE coil winding machine face plate. The slide blocks are tapped with three positions ranging from 5/8″ to 11″. Winding pins can be inserted accordingly to wind long, medium, or short loops. This feature requires minimum adjustment of machinery and settings.